In the book I’m currently reading (‘Intimacy’ by Osho), there is a part where the author urges people to be authentic. There are 3 things that should be followed in order to be authentic. 1st – Listen to your inner voice, go according to it. 2nd – Do no wear a mask, be true to what you feel. 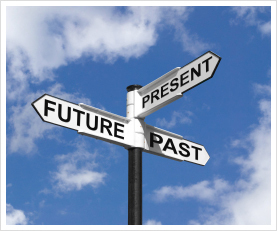 3rd – Live in the present, do not hold onto your past or future because they don’t let you be authentic to the present. I found the first two quite easy to understand. Even though I am more accustomed to suppressing my anger, hatred and such negative emotions, I could try to start being authentic to myself. But how do I achieve the third condition? I have read the same in a couple of other books. And I have tried, too. But one can’t just let go of one’s past, all those memories, thoughts and experiences one went through and accumulated over the past decades. How can you possibly do that? I have met so many people over the past 20 years of my life. And I have so many different memories with all of them; some good, some bad, but all of them precious, nonetheless. Apart from happy memories, I have also had unhappy ones, naturally. And I get reminded of them once in a while. There might be instances when I feel low, thinking of some such experience. Even after it has been (almost) forgotten, I do get reminded of it when similar incidents or situations occur. This is a a clear example of mixing of the present with past incidents. I can’t help it. ‘The Zahir’ by Paulo Coelho says that you need to talk out everything about your past to someone (preferably a stranger) in order to fully let go of it. I have tried talking it out with people but somehow, a part of the pain still exists. And how do I let go of it… I mean, how can I forget it and also stop it from coming back? Especially when it comes to relationships, I tend to connect some characteristics to past situations…and there have been many a time when I have felt that a certain person talks/looks/behaves like someone I have known. When I do that, I am unintentionally forming a slight judgment in my head, connecting both the persons (one from my past and the other from my present). I’m not giving the person a chance to be or show what he is, I’m already assuming he must be like the other person I knew. Yes, I realize that’s very wrong. 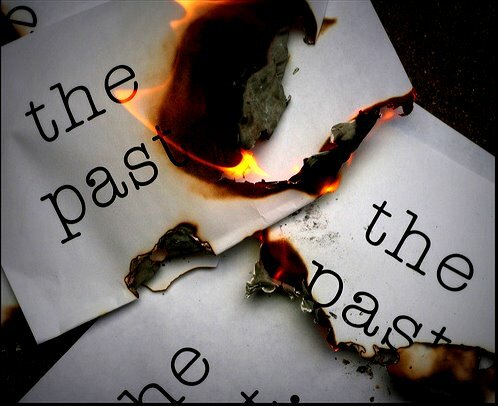 That is exactly why I want to let go of my past. I want to start anew, just be in the present, live in the moment fully…not just physically, but also emotionally, especially in my thoughts and memories. I want to be here, in this moment, completely. I don’t want past memories to taint the present. This entry was posted in Thoughts in Words and tagged Letting Go, Life, Memories, Past, Present, Thoughts. Bookmark the permalink.